The client is a distributor of cheese and is using QuickBooks to run their business. The problem is that they take orders in terms of the number of cases ahead of time and then pull cases from the warehouse and weigh each case for billing purposes on the day it is distributed. For example: a Super Market may order 10 cases of Swiss Cheese and 15 cases of American Cheese ahead of time for delivery on Friday. The distributor enters in a sales order with 2 line items: 10 Cases of Swiss Cheese and 15 cases of American Cheese. Our custom program reads all the sales orders that are being delivered by a selected driver on that shipping date. It then breaks up line items such as 10 cases of Swiss Cheese and 15 cases of American Cheese and converts them from 2 lines items to 25 line items (10 line items of Swiss Cheese with a quantity of 1 and 15 items of American Cheese at a quantity of 1 making up 25 line items). All the data entry person has to do at this point is enter the 25 weights on a custom form from an app we created. It's so easy and even has data quality code to help prevent the data entry person from entering the same exact weight twice or putting in a weight that is unusually too high or low for a case of that particular cheese (custom fields stored in QuickBooks for high and low weights are read in). The weights are entered in an expedient manner in which the database entry person only has to enter in the weight for each case and press Enter to go onto the next case. 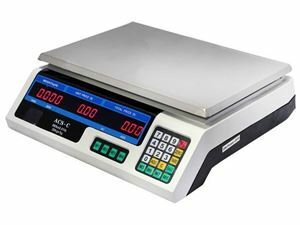 If the weight information is stored electronically in a scale or scanner, this information can electronically be imported making the whole entry process even more expedient. After all the variable weights for a driver's route are entered, the program posts the sales orders to QuickBooks. The invoices for that driver for that day's route are batched together along with any credit memos. One large .PDF is created and the dispatcher prints out the invoices and credit memos in triplicate for the driver to deliver to the Super Markets and get signatures on. This daily process used to start around 3AM and used to take a data entry person 4 hours prior to our custom app. It is now reduced to between 15 and 30 minutes with alot less mistakes. Starting at $5,000, Custom Apps 360, LLC can set something similar up for your company and also provide further customization. Further customization is available. See our rates on our Pricing Page or call us at (561) 852-6508 or Contact Us.